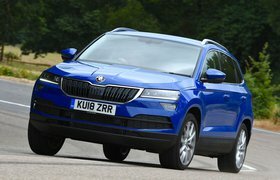 New Skoda Karoq vs Seat Ateca | What Car? The Ateca’s 8.0in touchscreen is pretty easy to use, with broadly similar menu layouts to the Karoq’s. We prefer the easier-to-hit physical shortcut buttons around the screen, although the screen isn’t as sharp and tends to respond more slowly. The standard eight-speaker stereo sounds decent, but you can upgrade to 10 speakers for £330. Wireless charging is part of a £595 option pack that adds a powered tailgate and keyless entry. Integrated wi-fi and online connectivity (subscription-based; free for the first year) are included. The standard 8.0in screen is much sharper than the Ateca’s, as is the system’s reactions. 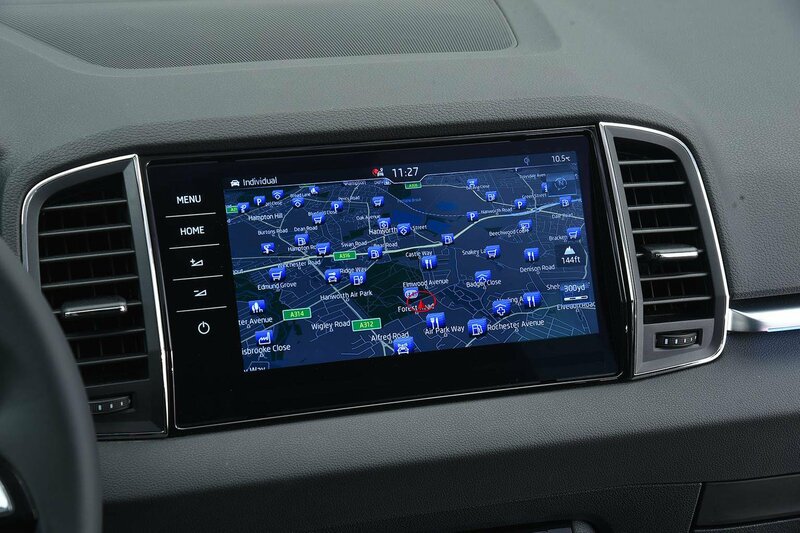 Like the Ateca, shortcuts around the screen give quick access to menus but, being touch-sensitive, are harder to hit on the go. 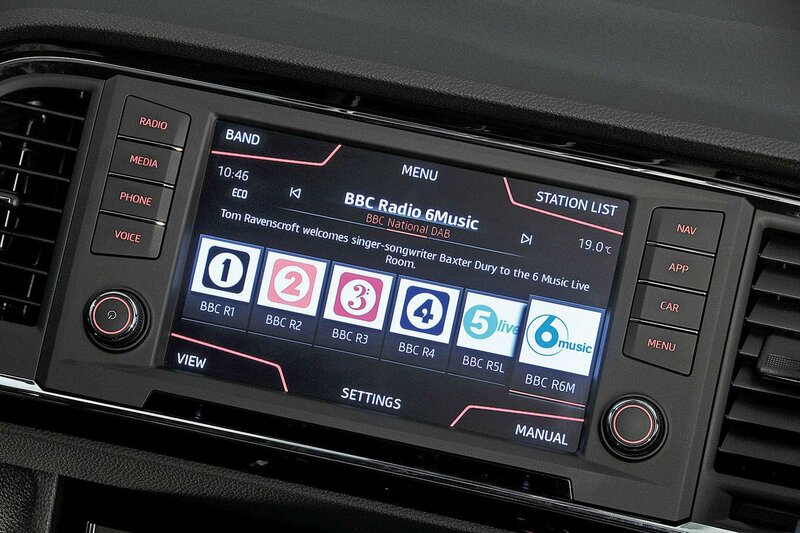 The 9.2in screen shown is a £1250 option we wouldn’t bother with, but £50 rear-seat tablet holders are handy additions for the kids.